Tabla maestro Ustad Zakir Hussain, singer-composer Shankar Mahadevan, lyricist Javed Akhtar, actor Shabana Azmi and filmmaker Feroz Abbas Khan have come together for a special premier show called 'Raag Shayari' to mark the beginning of centenary celebrations for renowned poet and activist Kaifi Azmi. Kaifi Azmi's birth centenary falls on January 14, 2019. 'Raag Shayari' will be a special evening of music. It will be a show directed by Khan, with production design by Anuradha Parikh, and will have three shows -- two in Mumbai and one in Kolkata. "It's a tribute to the greatness of Kaifi Azmi interpreted in different ways yet with a single thought running through the entire performance. With music, verse and song we are attempting to share the universality and timeless quality of Kaifi Saheb's poetry," Khan said in a statement. Shabana said: "It will be an evening of archival value because Shankar Mahadevan will sing a selection of Kaifi Azmi's poems. Javed Akhtar will recite them in Urdu and I will recite the English translations with Ustad Zakir Hussain interpreting the same on the tabla. 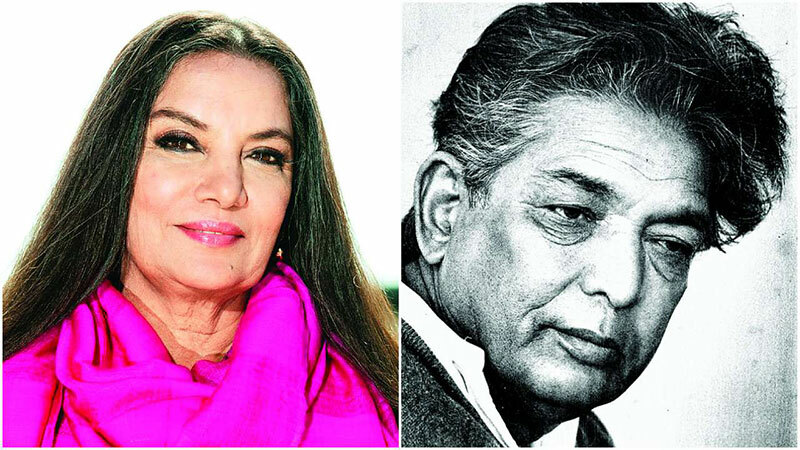 The idea to get a cross-section of people to join the celebration was to show how Kaifi Azmi's work "transcends boundaries of language and medium", said Javed. Hussain said Kaifi Azmi was a "unique human being", and Mahadevan said "he was a multifaceted, true legend in the true sense." Kaifi Azmi, one of the finest Urdu poets of the subcontinent, was born in Mijwan, Azamgarh, Uttar Pradesh. As a poet, he grew with influential poems including "Aurat" and "Makaan". Having written some of his most celebrated songs for films "Kaagaz Ke Phool", "Shola aur Shabnam", "Hanste Zakhm", "Haqeeqat" and "Arth", he is also famously known for writing some of the best screenplays and dialogues for films "Heer" and M.S. Sathyu's masterpiece, "Garm Hawa". Throughout the year, Kaifi Azmi will be celebrated in the country and abroad with mushairas, plays, seminars, a pen festival and three book releases.